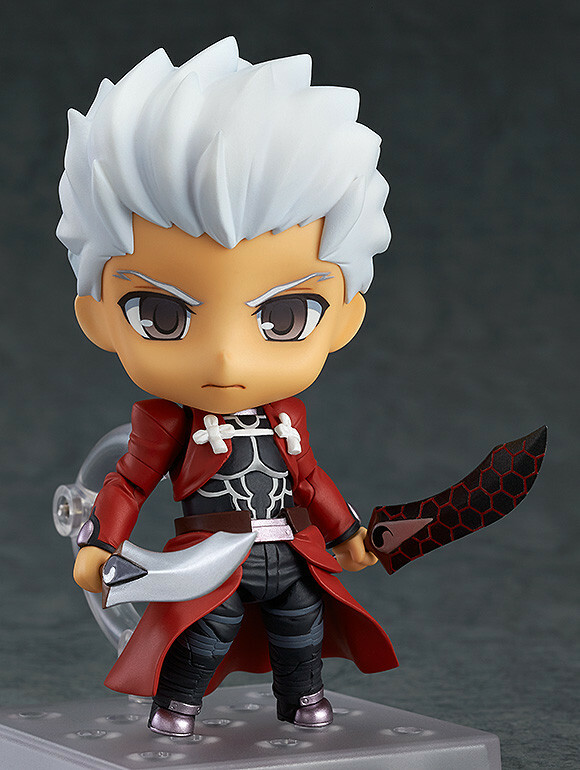 "If you can only live by holding onto that ideal, it shall be your death!" 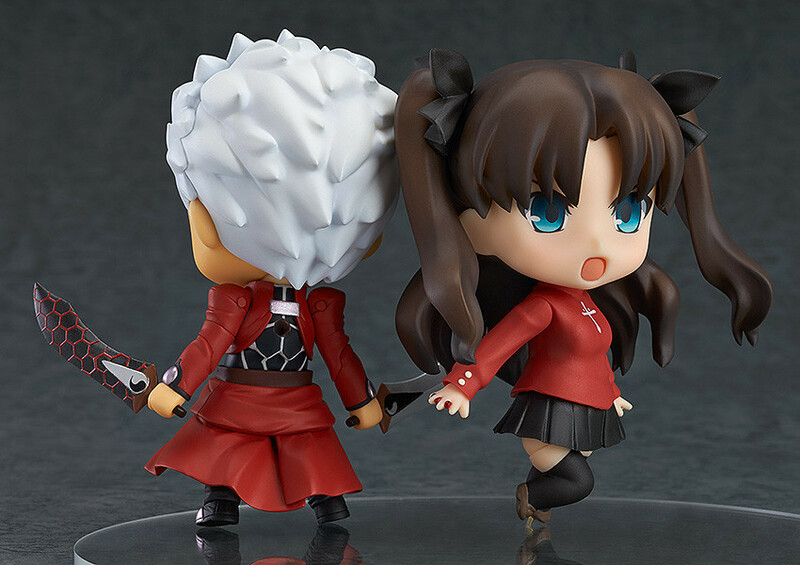 From the popular anime 'Fate/stay night [Unlimited Blade Works]' comes a rerelease of the fully articulated Nendoroid of Rin Tohsaka's servant during the 5th Holy Grail War, Archer! 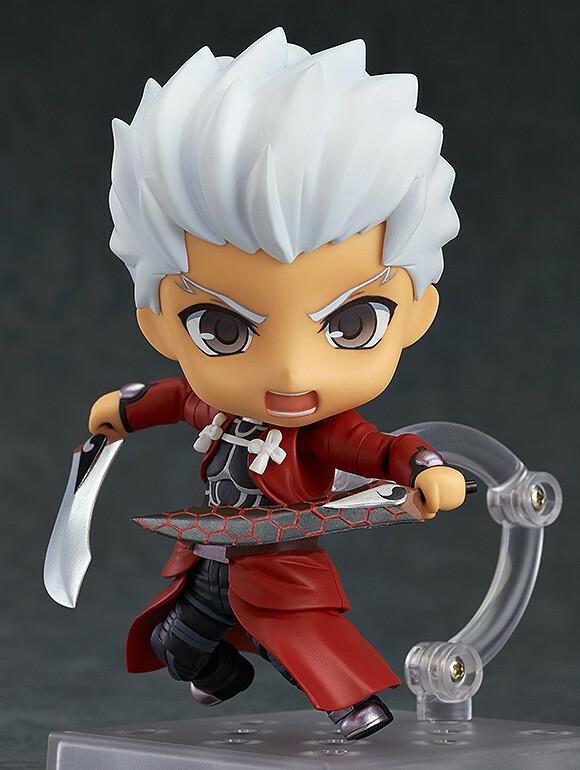 He comes with both a standard expression ready for battle, as well as a shouting expression. 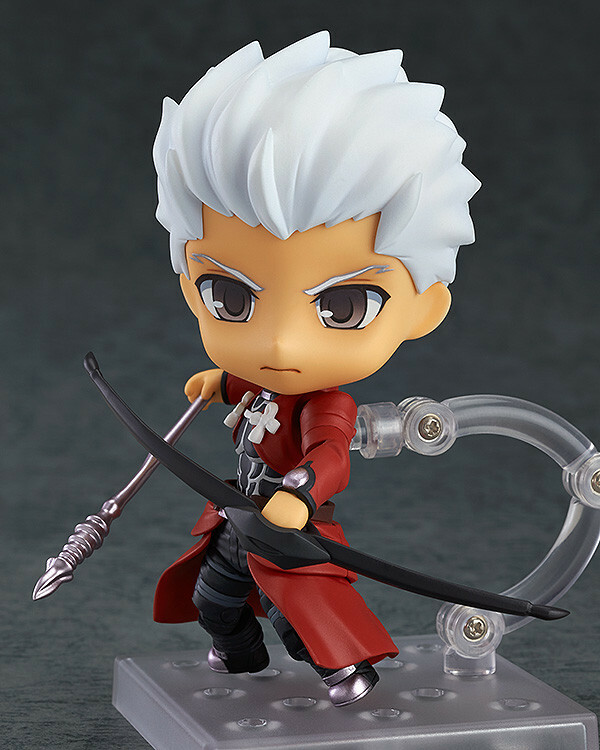 His twin swords 'Kanshou' and 'Bakuya' are both included for close combat, and his bow is included for long range combat! 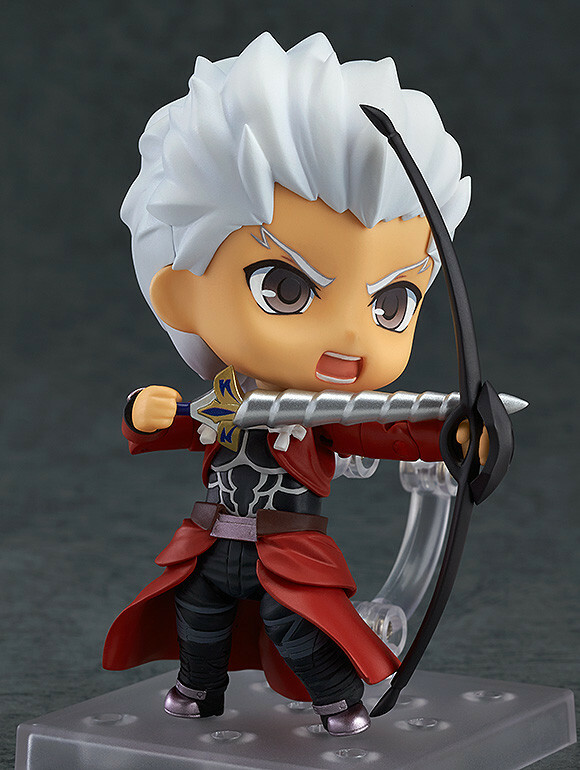 You can even pose him firing Caladbolg II from the bow! Enjoy recreating all sorts of scenes from the show! 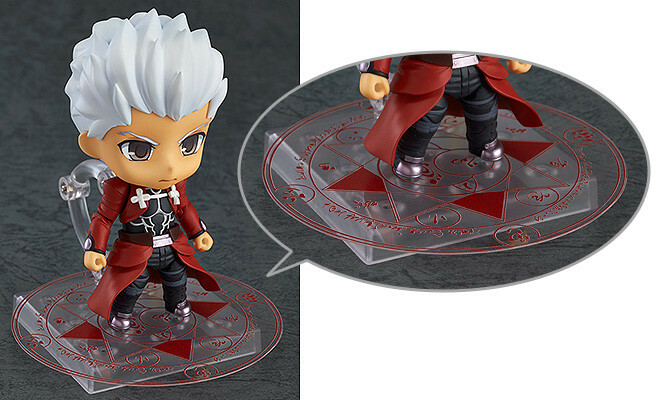 Preorders of Nendoroid Archer: Super Movable Edition from the GOOD SMILE ONLINE SHOP will include a Servant Summoning Circle Sheet as a bonus!